This Hardscape Outdoor Living Space in Lewis Center, OH, Has All the Right Curves! When Archadeck of Columbus initially met with these homeowners for their consultation they were interested in replacing their existing failing PT deck. They were looking for a better use of space and a structure that encompassed low-maintenance materials. Reaching beyond the obvious choice of opting for a synthetic deck addition, these homeowners’ decided to reach for patio perfection instead. The entire project was built with Unilock hardscapes. 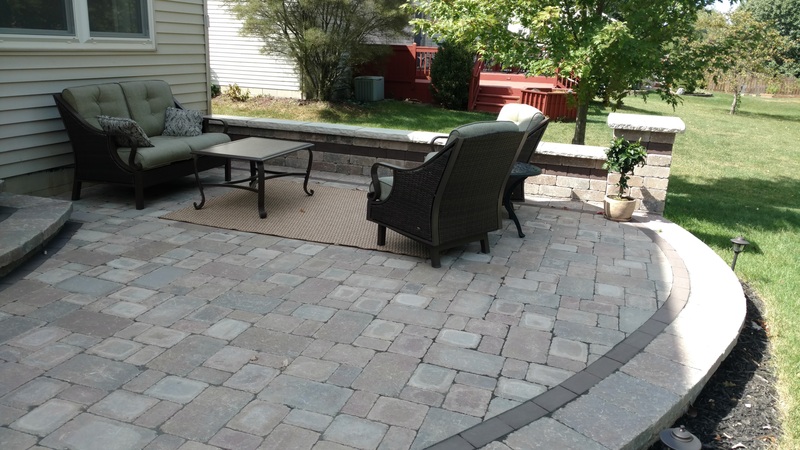 In our region, pavers are the most popular choice for homeowners considering a new patio or hardscape. 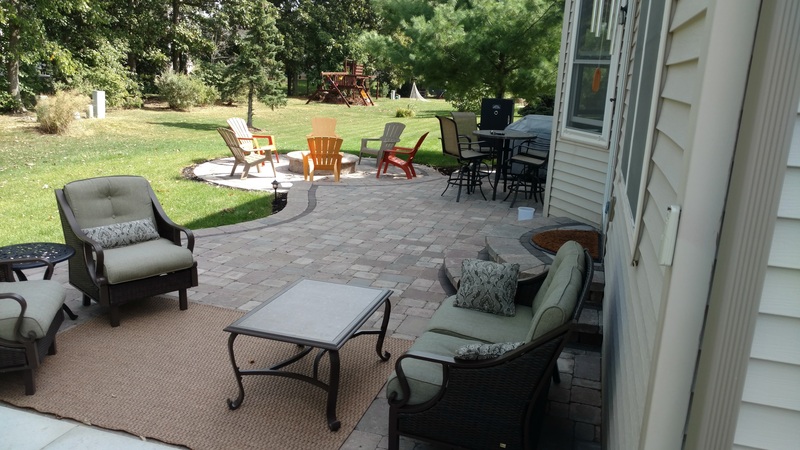 Unilock pavers, in particular, are a favorite because of their quality, beauty and the wide variety of pavers they offer, as their selection affords the perfect paver to fit any project budget. 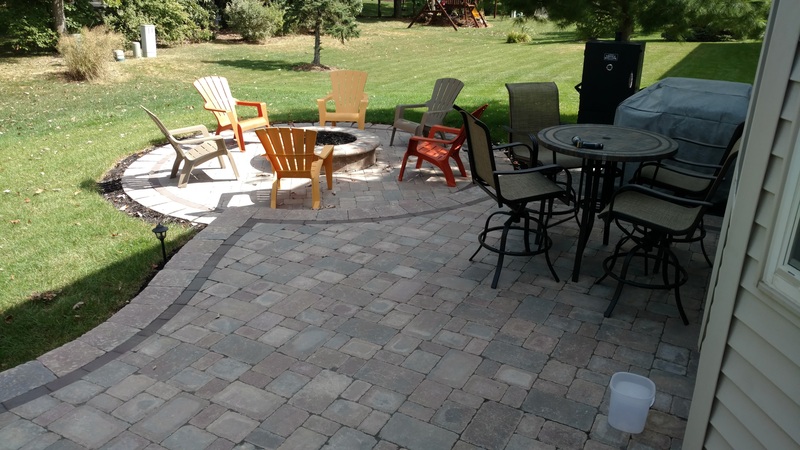 We used Unilock Stonehenge pavers on the field of the patio. 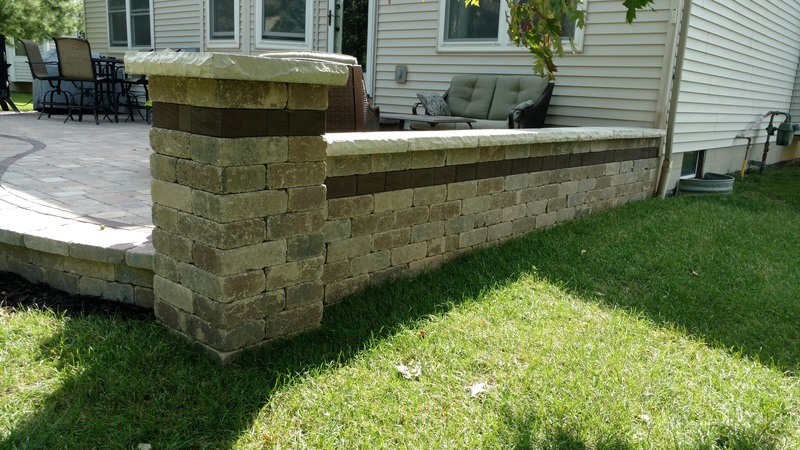 For the privacy/retaining wall we used Unilock Brussels Dimensional stone and for the accent border we used Unilock Il Campo in Mocha. One of the unique aspects of this project was that instead of choosing the main field area paver for this project first, the homeowners chose the accent stone used in the border as the basis to choosing the remainder of the hardscapes. This concept worked out as all the colors and textures flow together perfectly. 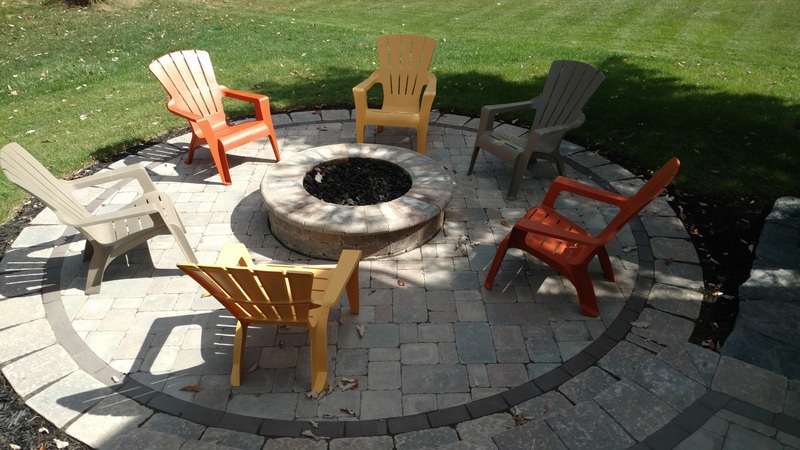 Last but not least, the space also includes a custom fire pit also built using Unilock pavers. The fire feature is gas burning with lava rock and adds charm, function and a great place for endless conversation to the design. Contact us today to learn more about our award-winning outdoor living space designs. 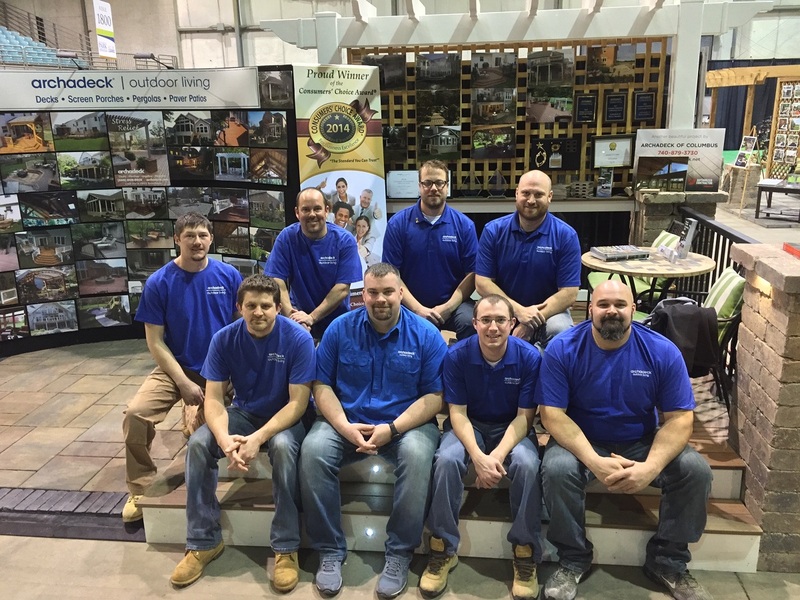 You can reach us at Call (740) 879–3730, or email us at [email protected].